What is Android? We're not talking about robots. In this case, we're talking about smartphones. Android is a popular, Linux-based mobile phone operating system developed by Google. The Android operating system (OS) powers phones, watches, and even car stereos. Let's take a closer look and learn what Android really is. Android is a widely-adopted open-source project. 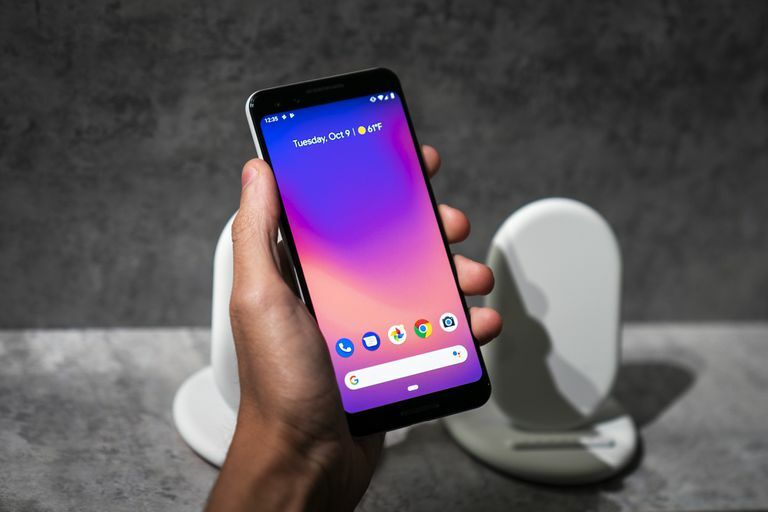 Google actively develops the Android platform but gives a portion of it for free to hardware manufacturers and phone carriers who want to use Android on their devices. Google only charges manufacturers if they also install the Google apps portion of the OS. Many (but not all) major devices that use Android also opt for the Google apps portion of the service. One notable exception is Amazon. Although Kindle Fire tablets use Android, they do not use the Google portions, and Amazon maintains a separate Android app store. Android powers phones and tablets, but Samsung has experimented with Android interfaces on non-phone electronics like cameras and even refrigerators. The Android TV is a gaming/streaming platform that uses Android. Parrot even makes a digital photo frame and a car stereo system with Android. Some devices customize the open-source Android without the Google apps, so you may or may not recognize Android when you see it. Google formed a group of hardware, software, and telecommunication companies called the Open Handset Alliance with the goal of contributing to Android development. Most members also have the goal of making money from Android, either by selling phones, phone service or mobile applications. Some devices do not include support for Google Play and may use an alternative market. Kindles use Amazon's own app market, which means Amazon makes the money off of any app sales. The iPhone has been very popular, but when it was first introduced, it was exclusive to AT&T. Android is an open platform. Many carriers can potentially offer Android-powered phones, although device manufacturers might have an exclusive agreement with a carrier. This flexibility allowed Android to grow incredibly quickly as a platform. Because Google developed Android, it comes with a lot of Google app services installed right out of the box. Gmail, Google Calendar, Google Maps, and Google Now are all pre-installed on most Android phones. However, because Android can be modified, carriers can choose to change this. Verizon Wireless, for instance, has modified some Android phones to use Bing as the default search engine. You can also remove a Gmail account on your own. Android supports a touch screen and is difficult to use without one. You can use a trackball for some navigation, but nearly everything is done through touch. Android also supports multi-touch gestures such as pinch-to-zoom. That said, Android is flexible enough that it could potentially support other input methods, such as joysticks (for the Android TV) or physical keyboards. The soft keyboard (onscreen keyboard) in recent versions of Android supports either tapping keys individually or dragging between letters to spell out words. Android then guesses what you mean and auto-completes the word. This drag-style interaction may seem slower at first, but experienced users find it much faster than tap-tap-tapping messages. One frequent criticism of Android is that it's a fragmented platform. Parrot's photo frame, for example, bore absolutely no resemblance to an Android phone. Had the developers not told me they'd used Android, I'd have never known. Phone carriers like Motorola, HTC, LG, Sony, and Samsung have added their own user interfaces to Android and have no intentions to stop. They feel it distinguishes their brand, although developers often express their frustration at having to support so many variations. Android is an exciting platform for consumers and developers. It is the philosophical opposite of the iPhone in many ways. Where the iPhone tries to create the best user experience by restricting hardware and software standards, Android tries to ensure it by opening up as much of the operating system as possible. This is both good and bad. Fragmented versions of Android may provide a unique user experience, but they also mean fewer users per variation. That means it's harder to support for app developers, accessory makers, and technology writers (ahem). Because each Android upgrade must be modified for the specific hardware and user interface upgrades of each device, that also means it takes longer for modified Android phones to receive updates. Fragmentation issues aside, Android is a robust platform that boasts some of the fastest and most amazing phones and tablets on the market.